The decision to exit the European Union will undoubtedly give rise to a period of uncertainty for us all. A great deal has been written already about possible impacts and, in writing this short article, I have sought to highlight a few key areas that may warrant some immediate thought and possible action depending on your business sector, geography and markets. Contract Terms: many contracts include some form of reference to territory, distribution agreements being an example. Will a territorial clause in a pre-leave contract referring to the EU continue to include the UK? Much will of course depend on the drafting and the extent to which the “territory” has been defined but it is possible that such contracts (including any related sub-contracts or back-to-back contracts) could be void on the grounds that they are unclear or inoperable. Similarly, how would a provision requiring compliance with EU law sit in the event of any subsequent and incompatible UK law being passed? This uncertainty could well provide an opportunity for parties to seek to terminate a contract. It is probably sensible to conduct an audit of key contracts and consider what if any steps should be taken. Dispute Resolution: Pre-leave the rules by which an English Court would determine jurisdiction and applicable law to most disputes arising between parties in the EU (contract and tort) were determined by the application of EU Regulations. Parallel proceedings in more than one member state were prohibited where they involved the same or related issues. Recognition and Enforcement of judgments between member states was relatively simple and straight forward. Leave to serve outside the jurisdiction in an EU member state was not required. It is uncertain at this stage whether the UK will continue to apply the same or similar rules or whether it will revert to a system applicable to disputes with businesses outside the EU. If the latter, it remains to be seen whether the same degree of recognition and enforcement will be extended and whether service of proceedings will become more time consuming and expensive. Intellectual Property: Will EU Community Trade Marks (CTM’s) and Design Rights remain enforceable in the UK? Pre-leave, rights holders outside the UK could rely on a CTM to protect their brands and products in the UK. Similarly, UK businesses could acquire CTM’s or European Design Rights to protect their brands in the EU, including the UK. Will such protection still apply? Insurance: Insurers in the EU are automatically entitled to write insurance business in any other member state, the insurers home regulator regulating its activities, subject only to applying for a “passport” to do so.. Will this freedom and the competition it brings to the market be undermined? Insolvency: We believe that any impact on the insolvency regime will be limited. The EU has made little progress in harmonising insolvency and restructuring laws and the relevant rules therefore remain largely a matter for individual member states. The main impact of EU law in this area relates to mutual recognition of insolvency or restructuring proceedings between member states. Sanctions: The EU sanctions regime has in place various sanctions against the likes of Russia, North Korea and Syria. The UK is no longer a party to that regime and is free to raise its own sanctions, to a greater to lesser extent (although we remain bound by sanctions imposed by the UN). Trade: Under EU law trade within the union is liberalised between members allowing goods and services to move without customs barriers or tariffs being imposed. A key EU principle allied to this is free movement of people allowing EU citizens to establish themselves commercially and as residents in other EU states, without restriction. In addition the EU has various bilateral and multilateral trade treaties allowing preferential access to the EU market in various non-EU countries on varying terms. UK business will no longer benefit from the EU single market without a bilateral trade deal. The UK does continue to benefit from World Trade Organisation agreements but these are not as competitive as the preferential bilateral trade deals in place throughout the EU. It should be possible to revert to EEA (European Economic Area) membership, however, this seems unlikely in circumstances where members of the EEA are required to accept free movement of people – one of the key issues for many in the leave camp and where members are obliged to abide by EU rules over which they do not have a say. The UK does have a two year grace period to negotiate an entirely separate trade agreement with the EU. It seems unlikely that the EU will agree to allow the UK unfettered access to the single market without requiring the UK to accept any of the regulations which will continue to apply to remaining EU member states. Operating within the EU market may become increasingly complex and consequently potentially more expensive for UK companies and vice versa. Those operating in both jurisdictions will have to comply with two sets of rules on trade. UK businesses will not be able to benefit from the existing EU network of agreements with other non-EU countries. The UK would have negotiate its own trade deals which may or may not be to the UKs benefit given that the advantages of negotiating as a block could be offset by the ponderous gestation period of many of the EU’s trade deals. Uncertainty will no doubt have at least a short term negative impact on the economy. The barrier to free movement of people will certainly have an adverse impact on many sectors, particularly in construction, tourism and hospitality, food and agriculture and the care sector. There is little that can be done in relation to that or impact on the markets. What we have attempted to do above is highlight some of the issues which we think might have an impact on you where there might be opportunity to take steps at mitigation. 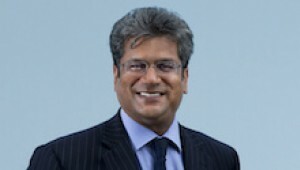 If you have any further questions regarding the impact of Brexit on Dispute Resolution, please do not hesitate to contact Kamal Aggarwal, Partner and Head of our Thames Gateway office at Thomson Snell & Passmore LLP on 01322 623702 or at kamal.aggarwal@ts-p.co.uk.